Kevin has stepped up the the plate more than once to help out our youth. 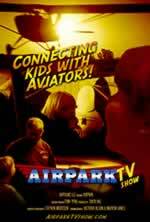 He went out of his way several times to help my film students as well as participate to help make Airpark a reality. We truly thank him!